"A great town on the western slope"
Fruita is a pretty area just west of Grand Junction off of I-70. About 12,600 people call Fruita home in this green valley that lies along the Colorado River. There are some really nice older homes in town and also some more, newer, and larger homes north of the highway. Although Grand Junction is so close and there are over 12,000 people living here, it always seems really quiet and laid back to me. There are tons of families living here and the schools are above average pretty much across the board. Although the median household income here is a bit higher than the state's average, so are the prices of homes, although it seems to even out in the end as far as cost of living. 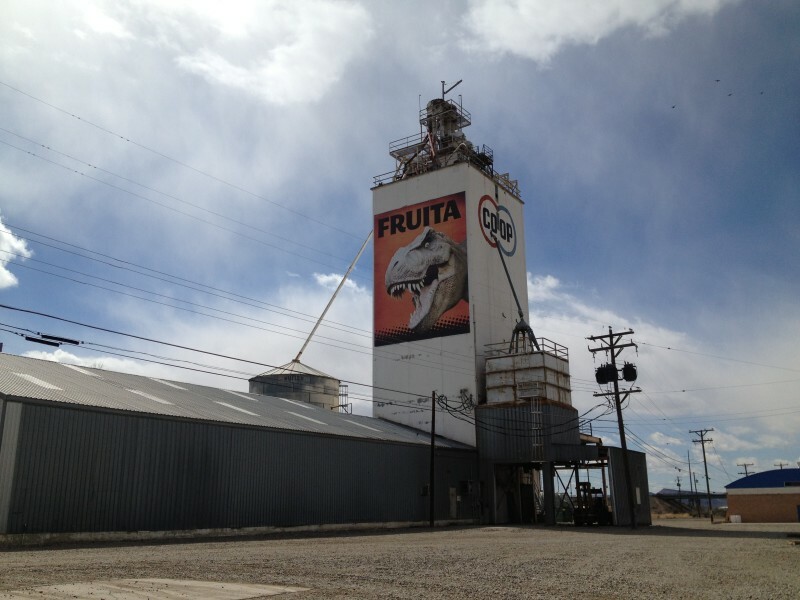 The main industry in Fruita is healthcare and social assistance, followed by construction, and then mining, quarrying, and oil and gas extraction. While I would find it hard living this far from the Front Range, if I had to live on the Western Slope I would certainly consider Fruita. 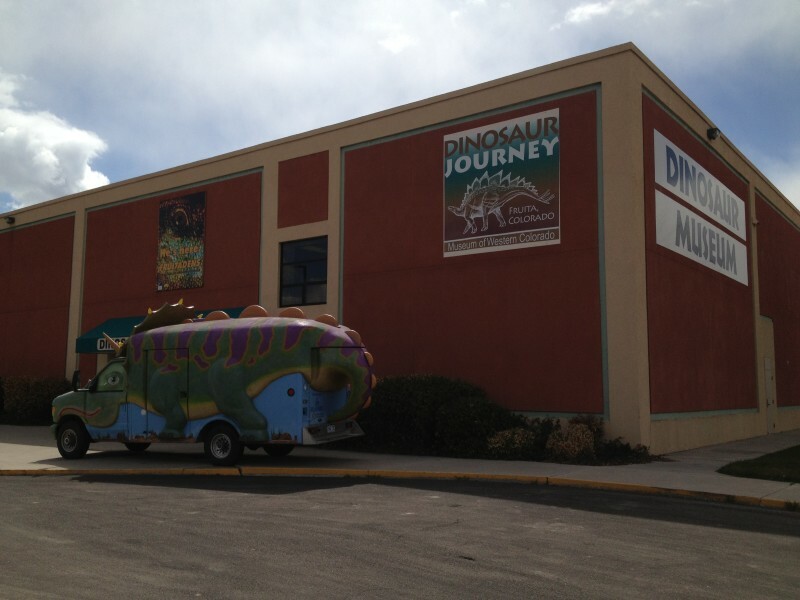 It has a nice family atmosphere with a couple of really good locally owned restaurants, a great dinosaur museum for kids, good schools, and a real laid back feel compared to the hustle and bustle of nearby Grand Junction. Less than 10 miles from Fruita heading towards Utah is a cool trail (about a mile and a half) called Rabbit Valley which has turned up some great dinosaur fossils. Recently they found the skull of what's thought to be the world's oldest Iguanodon skull. I've hiked this trail with my kids and it's pretty easy and there's marked stops along the way where you can see the imprints of dinosaur bones in the rocks. 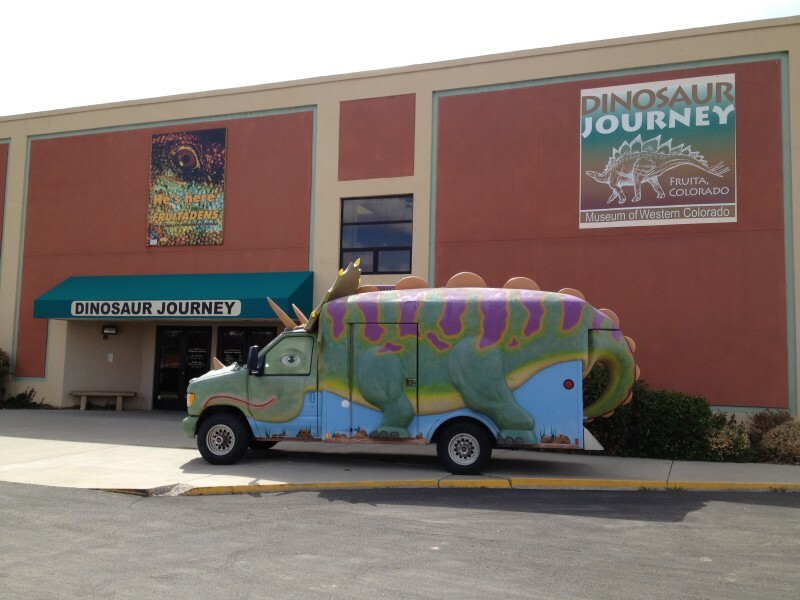 Some of the fossils they have found have come from Camarasaurus, Allosaurus, and Camptosaurus. There is also some great camping and mountain biking in the area. HeatherS I wonder if there are dinosaur digs for the public around Fruita? "Fruita is a nice little town just minutes west of Grand Junction"
Fruita is along the Colorado River and is where I have put in my canoe and floated on a couple of over night trips down the river and across into Utah. 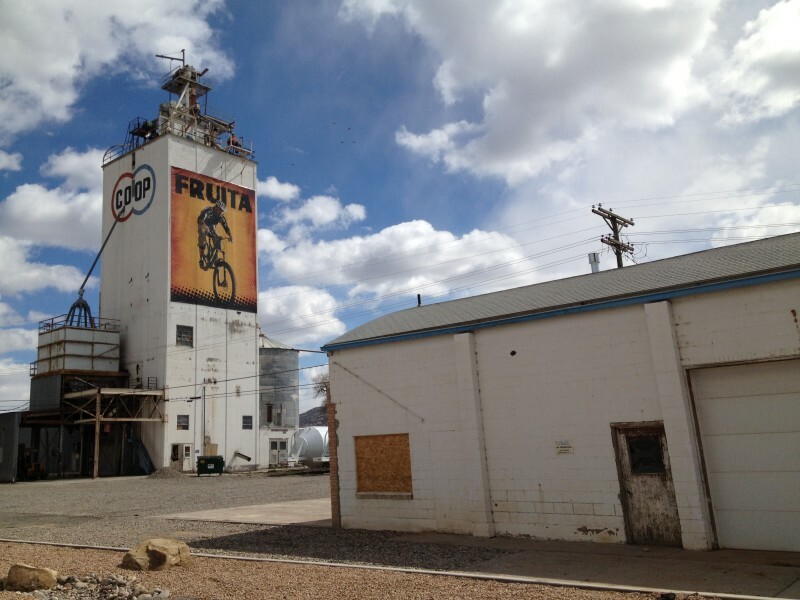 Since making that trip over a decade ago Fruita has really grown and looks greener and more developed. Surrounded by the Book Cliffs to the north and the pinyon pine slopes of the Colorado River to the south Fruita is more than just a little dusty town along I-70. It is a last green refuge before heading out into the desert of Utah just about 25 miles away. As far as housing, there is the Stone Mountain Estates made up of ranch style homes in a small subdivision on the west side of town. Otherwise the homes and neighborhoods look scattered around and there are ranches and farms in the green valley to the north of the highway. Along the river it is really pretty. There is a nice golf course, trails for bikes and walking and further to the south is Colorado Monument--a big red rock landscape that tucks away to the south. There is a lot of wilderness and forest access to the south. This is a great spot to launch out into the desert or go deep into Colorado's west slope mountains. There are cattle farms, orchards and a ranch feel to the place and rather pretty before getting into the more dusty city of Grand Junction just 5 miles down the road or less. Anyone know of a rafting company that will bring private canoes back to Fruita? Is there a doggie park near I-70 in Fruita? Does anyone know the on and off season for paragliding at Otto's Ridge?